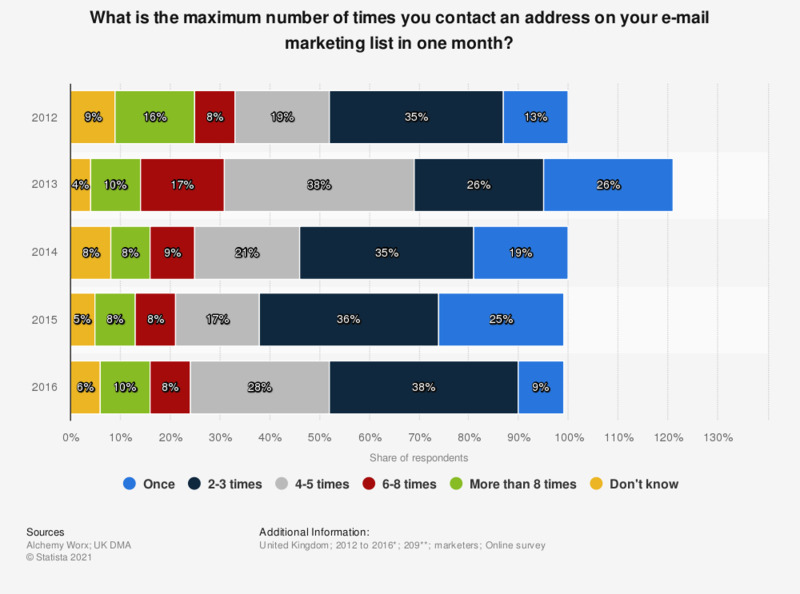 This statistic displays the maximum number of times e-mail marketers contact addresses monthly in the United Kingdom from 2012 to 2016. In 2012, 35 percent of marketers reported two or three times as the maximum number. * Dates of most recent survey were from October to December 2016. ** n (2012) = 161; n (2013) = 128; n (2014) = 73; n (2015) = 123; n (2016) = 209.